Every big carrier is getting it, and you still can't break it. So far, Motorola has spent its year churning out reliably good mid-range devices, not to mention a handful of new Moto Mods. Not bad, but now it's finally flagship time. 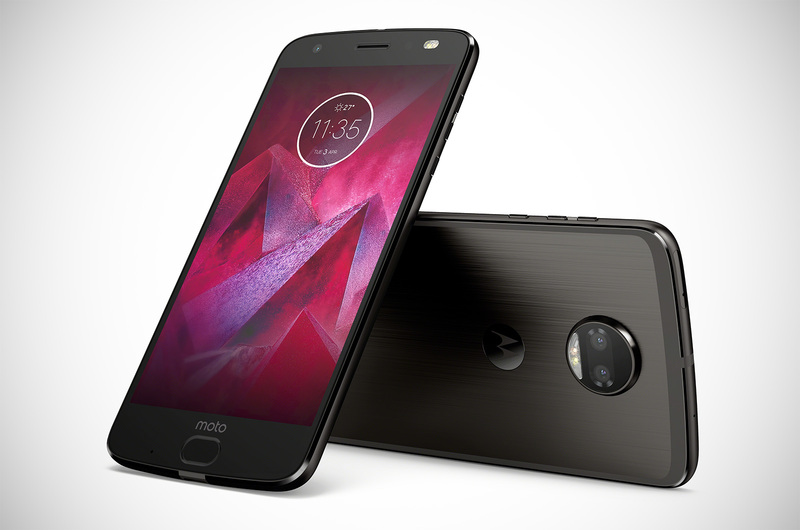 Motorola officially revealed the Moto Z2 Force in New York this morning, and — as expected — it's a surprisingly slim smartphone you'll have a hard time breaking. And here's the best part: it's not just a Verizon exclusive. Motorola says the Z2 Force will be available unlocked and on all five big US carriers starting on August 10. On paper, the Z2 Force sounds mostly great. It packs a Snapdragon 835 chipset and 4GB of RAM, like a host of other flagships this year. (The rest of the world actually gets a better base model with 6GB of RAM.) Motorola and Lenovo also finally jumped on the dual-camera bandwagon by blending one 12-megapixel monochrome sensor with another 12-megapixel color sensor, much like Huawei did with its P10. Not all dual-camera setups are created equal, but so far, I've been pretty impressed by our test shots on this distinctly dreary New York day. Oh, and it runs Android 7.1.1 Nougat, complete with the usual slew of Moto Experiences — you know, like twisting the phone to launch the camera or waving your hand over the screen to see your notifications. These new additions are still welcome, but the familiar Moto Z formula definitely hasn't gone anywhere. The 5.5-inch AMOLED screen running at Quad HD hasn't gotten any bigger or crisper since last year, but it's thankfully just as durable thanks to Motorola's ShatterShield design. Thanks to some extra protective lenses and an additional touch sensor layer over that screen, Motorola once again claims that random drops won't destroy this things display. (We ran over the original Z Force with a car last year, so we're inclined to agree.) And just like every other Moto Z we've ever seen, the Z2 Force packs support for Motorola's magnetic mods, like projectors, game controllers, and yes, a new 360-degree camera. Here's the thing about the Z2 Force, though: it feels like a more powerful mashup of the Z and Z Force rather than a straight successor to the latter. Consider how thin this phone is — at 6.1mm, the Z2 Force is closer in size to the original Z. That might sound like a step in the right direction, and it definitely will be for some people. Unfortunately, the Z2 Force comes with a much, much smaller battery — think 2,730mAh versus 3,500mAh in last year's model. Motorola says the Z2 Force's smaller battery will last all day, and that's probably true. That doesn't take the sting out of losing one of the Force line's most valuable features: the ability to plow through around two days of work on a single charge. Motorola's Turbo Chargers generally do a great job of powering up phones in a hurry, so hopefully this change won't hurt too much. The event is still unfolding in front of us, so stay tuned for more info (and hands-on impressions) shortly.